Sensor Fusion and Tracking Toolbox™ provides estimation filters that are optimized for specific scenarios, such as linear or nonlinear motion models, linear or nonlinear measurement models, or incomplete observability. Estimate and predict object motion using a Linear Kalman filter. 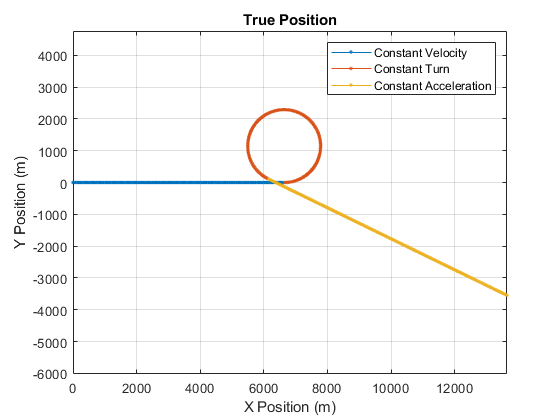 Estimate and predict object motion using an extended Kalman filter. 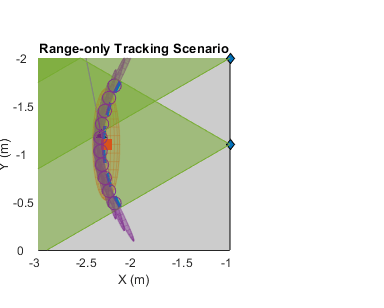 Track maneuvering targets using various tracking filters. The example shows the difference between filters that use a single motion model and multiple motion models. Illustrates the use of particle filters and Gaussian-sum filters to track a single object using range-only measurements. 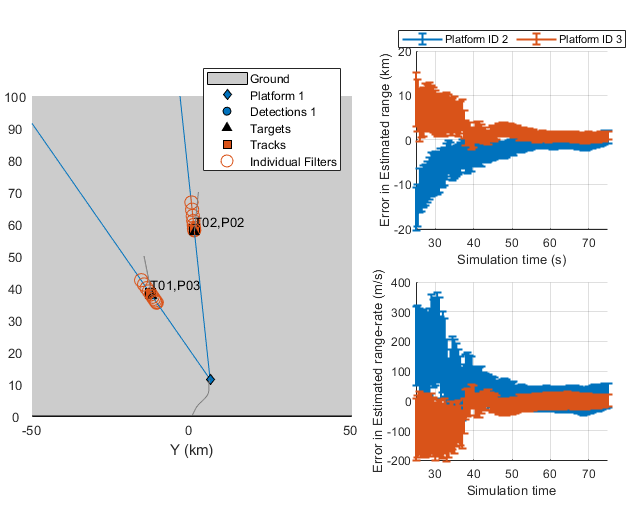 Illustrates how to track targets using passive angle-only measurements from a single sensor. Passive angle-only measurements contain azimuth and elevation of a target with respect to the sensor. The absence of range measurements makes the problem challenging as the targets to be tracked are fully observable only under certain conditions.